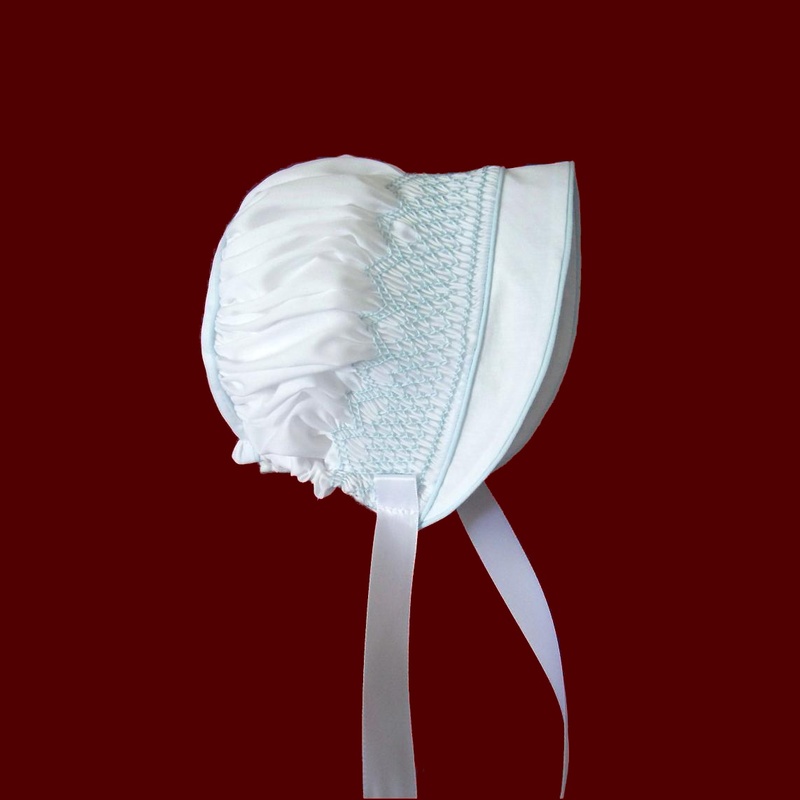 Adorable hand smocked hat for boys has pale blue embroidered smocking on the crown in a geometric pattern and pale blue piping on the brim and hat back. 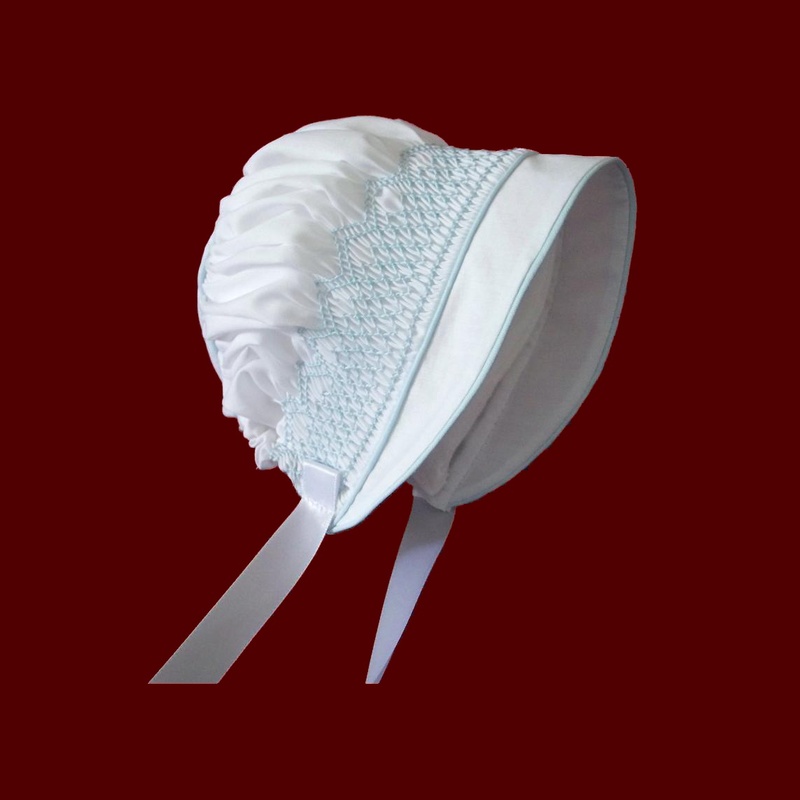 Hat has an optional removable flannel liner which attaches with Velcro and fabric ties. White imperial batiste fabric is machine washable. Irish accents are available on all items on this website. 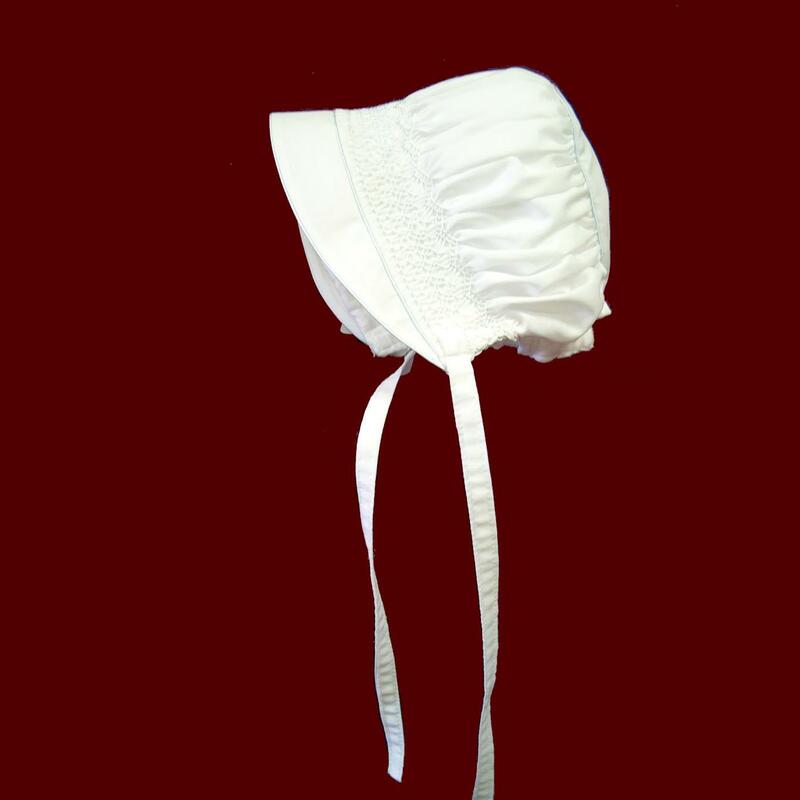 Also available with all white smocking.